Koley Jessen P.C., L.L.O. is pleased to announce that Professor Colleen E. Medill, the Robert and Joanne Berkshire Family Professor of Law at the University of Nebraska College of Law, has become Of Counsel to the Firm. 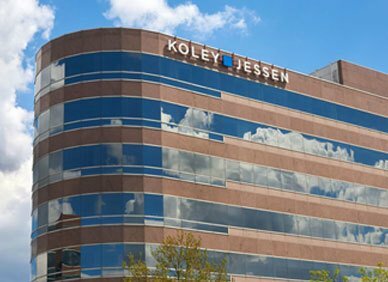 “This of counsel relationship between Koley Jessen and Professor Medill further demonstrates our commitment to building a top-tier employee benefits practice," said Michael Hupp, Koley Jessen ’s President. "Colleen's ability to identify, explain and propose practical solutions to the highly technical issues that arise under this area of the law is a unique resource for our clients. The assistance she will provide to our Employment Labor and Benefits Practice Group and our Mergers and Acquisitions Practice Group will enable our attorneys to serve our clients even more efficiently and effectively." Professor Medill joins Koley Jessen attorneys Dan Wintz, Adam Cockerill, Richard Vroman and David Yudelson, who focus their practice on employee benefits, retirement, executive compensation, and employee benefits litigation matters. Professor Medill’s private practice experience and knowledge base cover a wide range of employee benefits-related compliance, transactional and litigation issues involving single employer and multiemployer pension and health care plans, ESOPs, corporate officers and directors, discretionary and directed trustees, plan administrators and fiduciaries. She is the sole author of the leading law school textbook, Introduction to Employee Benefits Law: Policy and Practice (West 4th ed. 2014), which has been adopted by over 40 ABA-accredited law schools. The current edition of her book is the only law school textbook on employee benefits law that contains a comprehensive discussion of the Affordable Care Act and its impact on employers who sponsor group health plans. Professor Medill is an elected Fellow of the prestigious American College of Employee Benefits Counsel, an elected Member of the American Law Institute, and has served as the President of the Section on Employee Benefits and Executive Compensation for the Association of American Law Schools. She obtained her law degree from the University of Kansas School of Law, where she graduated first in her law school class and served as the Articles Editor of the Kansas Law Review. Following graduation from law school, she served as a law clerk to the Honorable Deanell Reece Tacha on the United States Tenth Circuit Court of Appeals. After her clerkship, Professor Medill practiced law in Kansas City, Missouri for seven years, where she focused her practice primarily on compliance, transactional, and litigation issues arising under the Employee Retirement Income Security Act of 1974 and the Internal Revenue Code. Prior to joining the faculty at the University of Nebraska College of Law in 2004, she was a tenured law professor at The University of Tennessee, where she won major awards for both her teaching and her scholarship. Since joining the faculty at Nebraska, she has been selected by the students twice as the Professor of the Year, and has been honored with the Distinguished Faculty Award from the University of Nebraska College of Law Alumni Council.